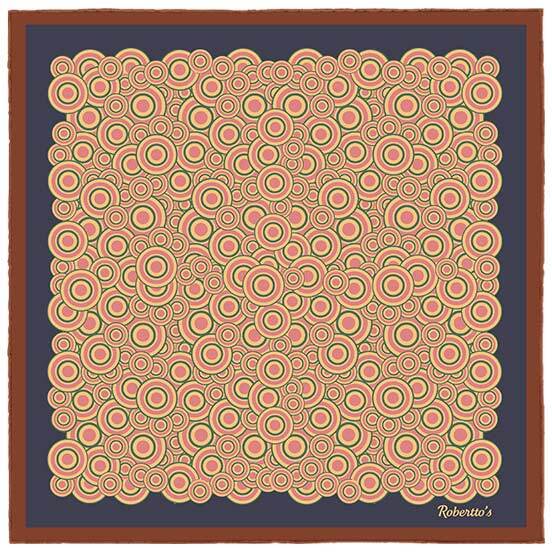 There was once a time when learned men believed the universe to be constructed from concentric, colored rings, turning in harmony and keeping the planets and the heavens in order. 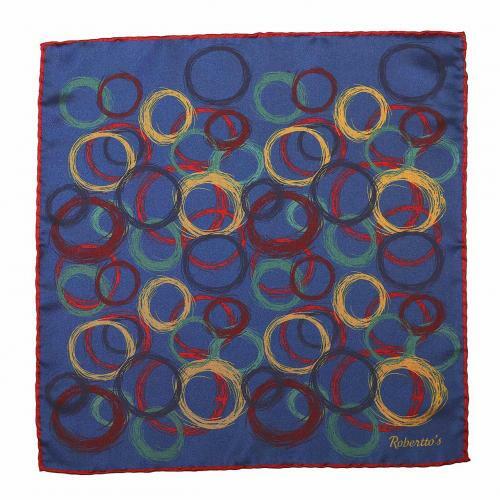 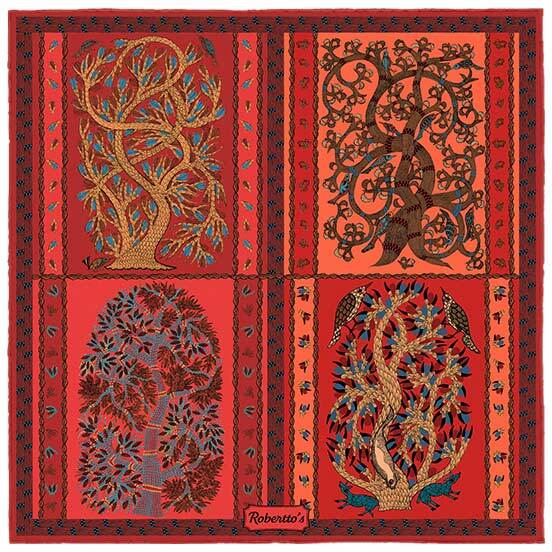 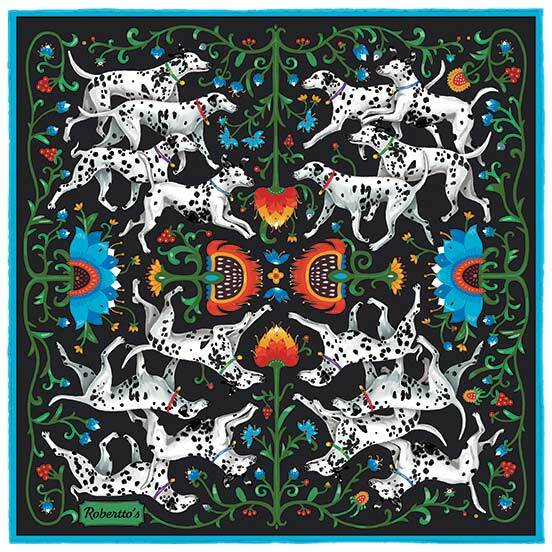 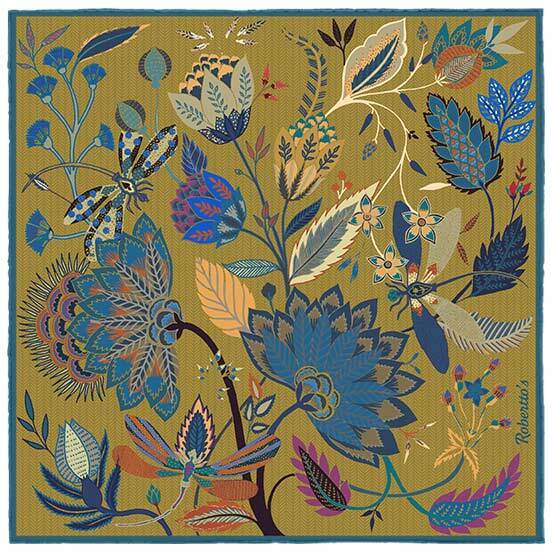 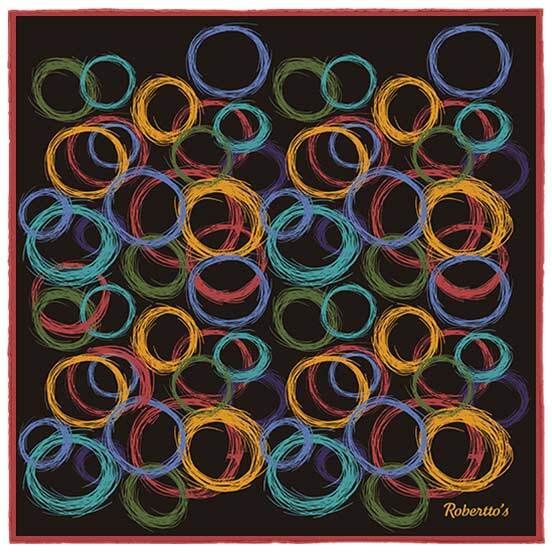 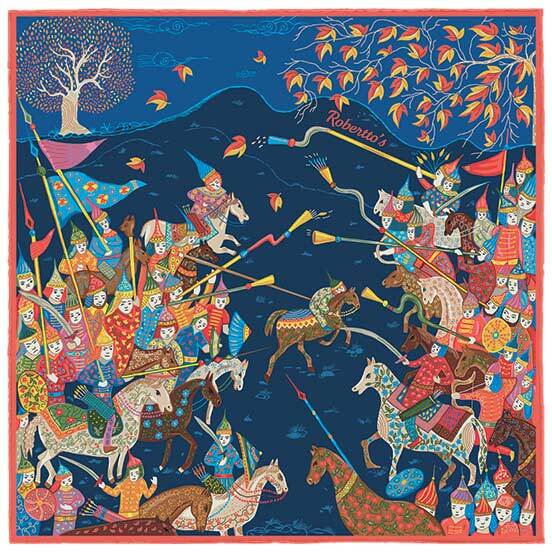 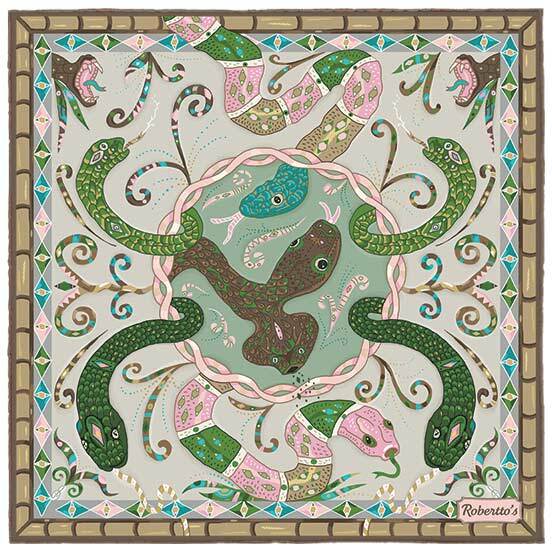 This beautifully made silk pocket square takes the potent symbol of the ring – an ancient symbol of love, of eternity, of unbreakable bonds and all-seeing eyes – and brings it out of the dark ages and right up to date, with a loose, hand-drawn, abstract design which exudes a class and sophistication that is fitting for the contemporary high street. 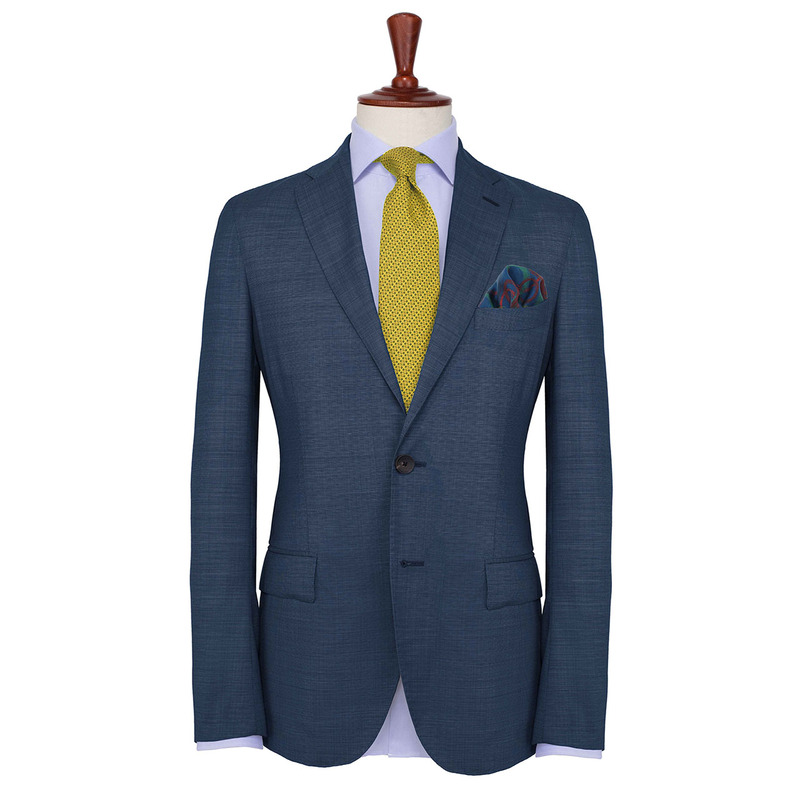 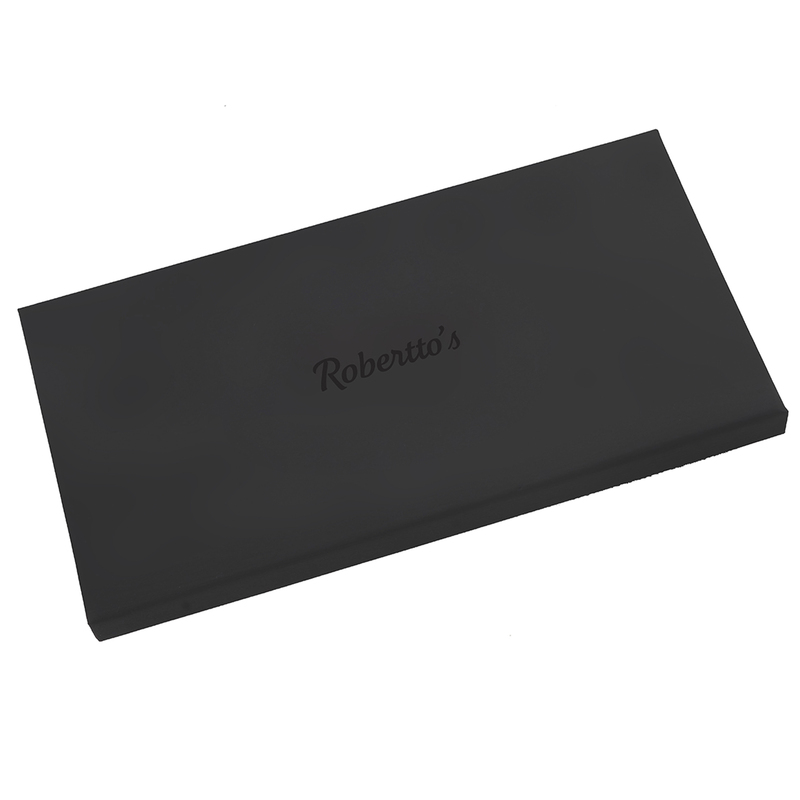 When you shop for pocket squares, you are looking for a fashionable suit accessory which is capable of achieving two key things: Firstly, it must bring a touch of life and a flourish of color and fascination to your outfit. 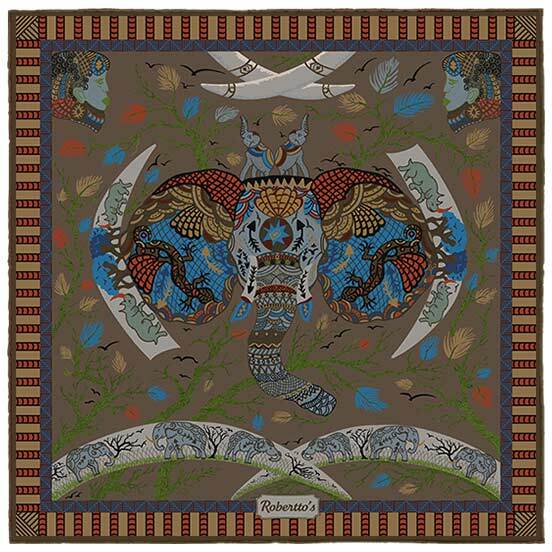 Secondly, it must allow passers-by a glimpse into your own unique sense of style, as you cut your own elegant path through this chaotic modern world. 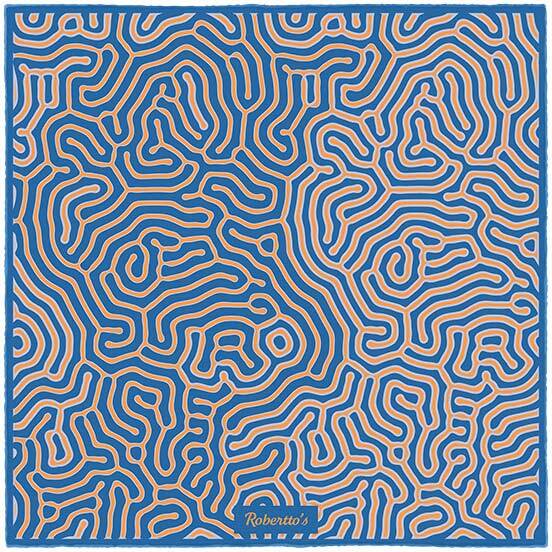 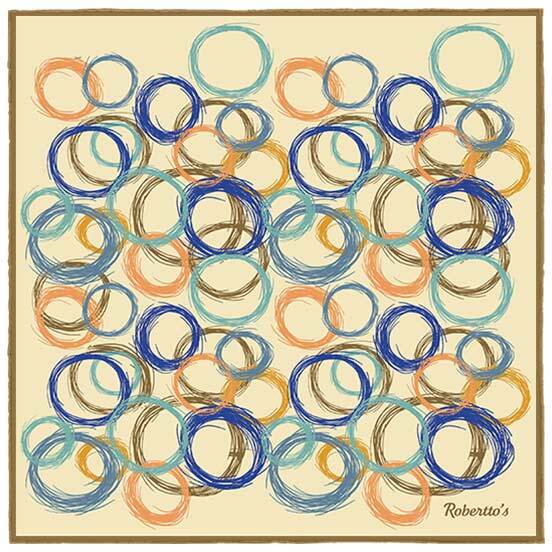 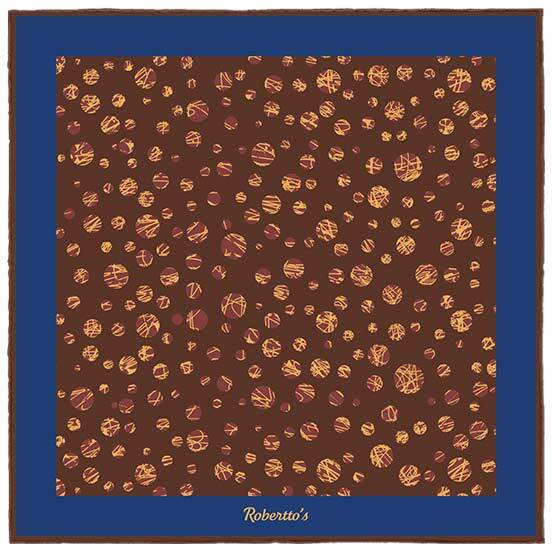 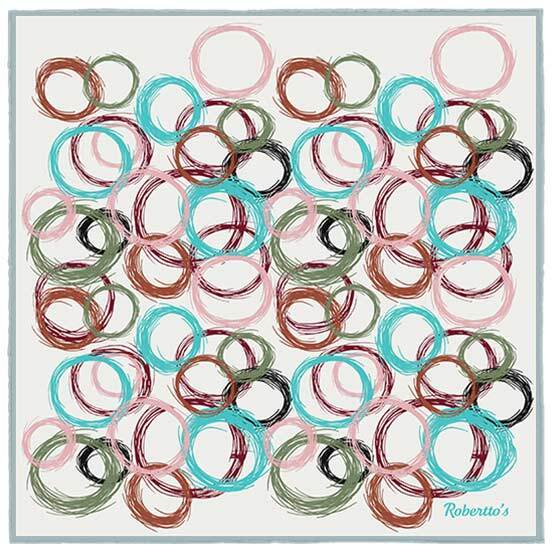 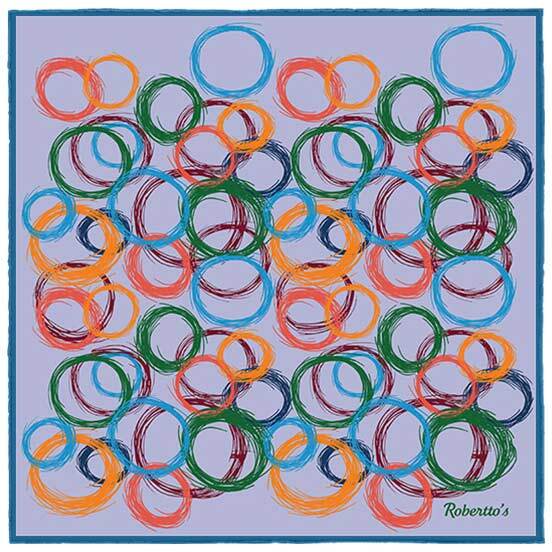 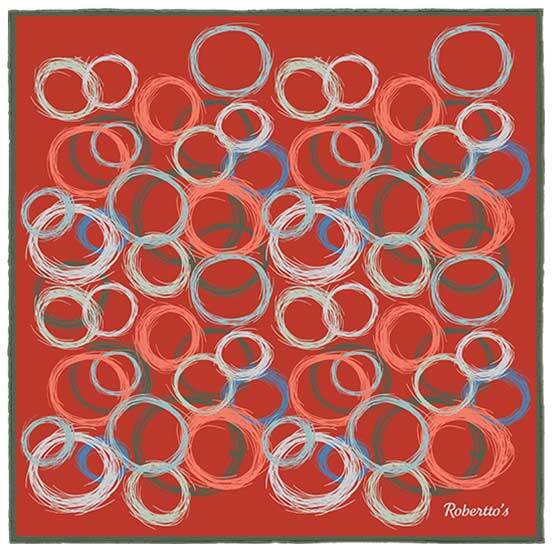 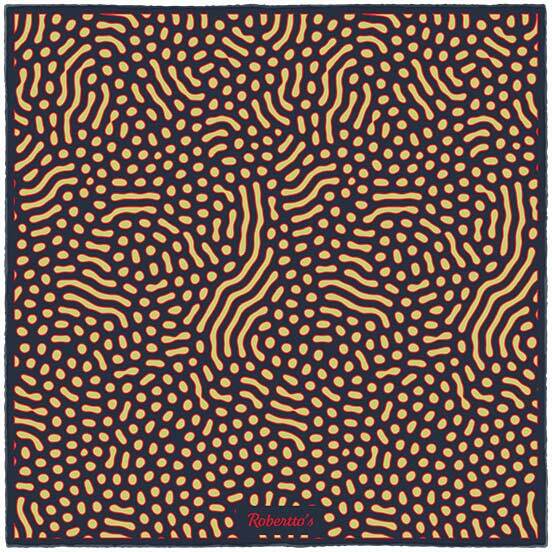 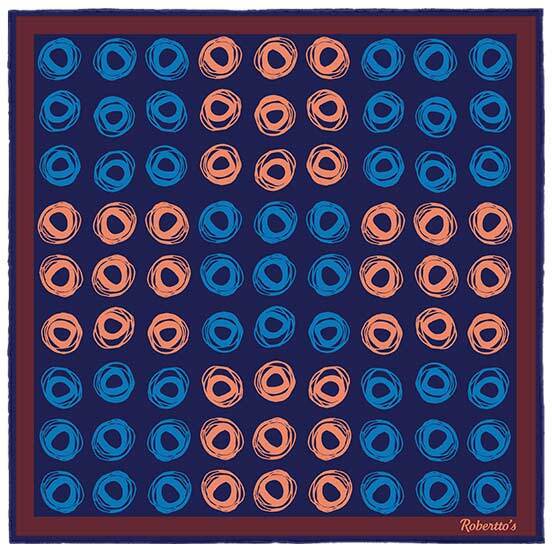 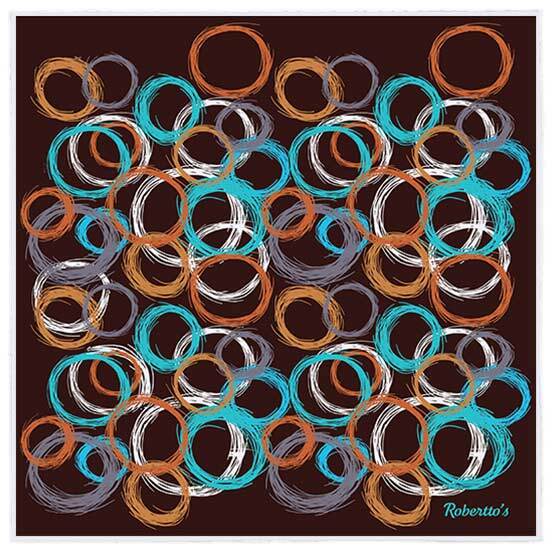 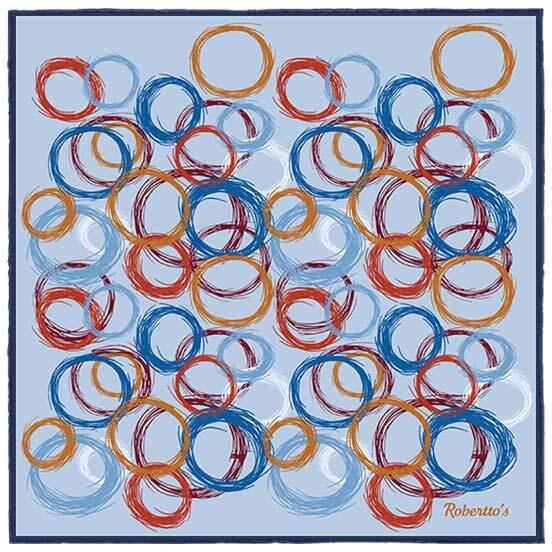 This sleek and artistic pocket square manages to do both admirably, thanks to its carefully balanced colors and eye-catching, expressionistic pattern. 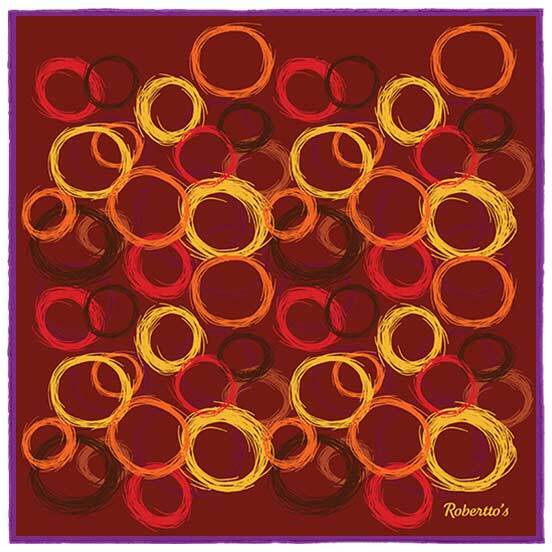 The warmth and richness of its wine red hem adds the perfect finishing touch to this fascinating and elegant pocket square. 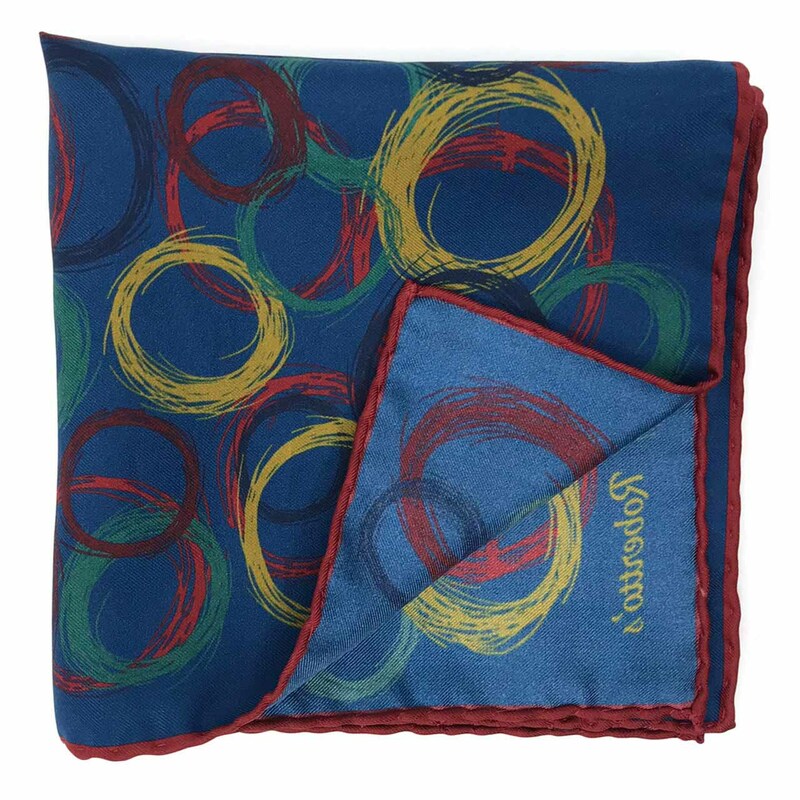 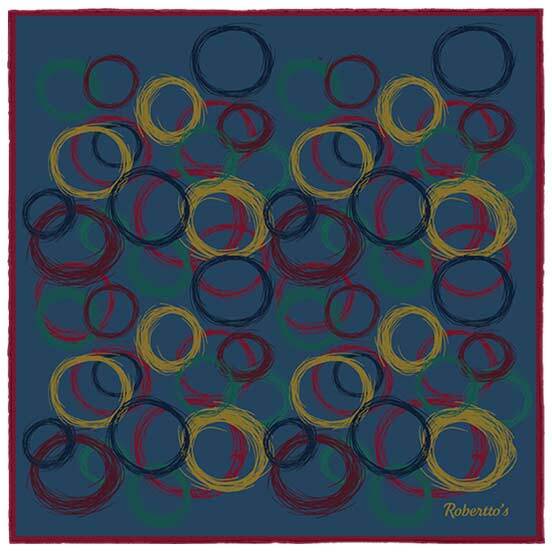 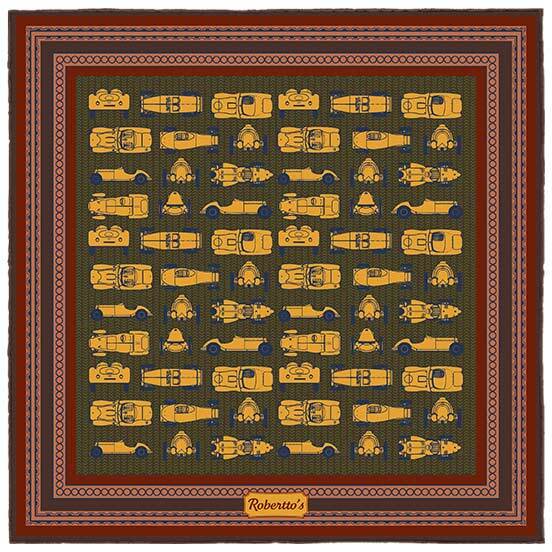 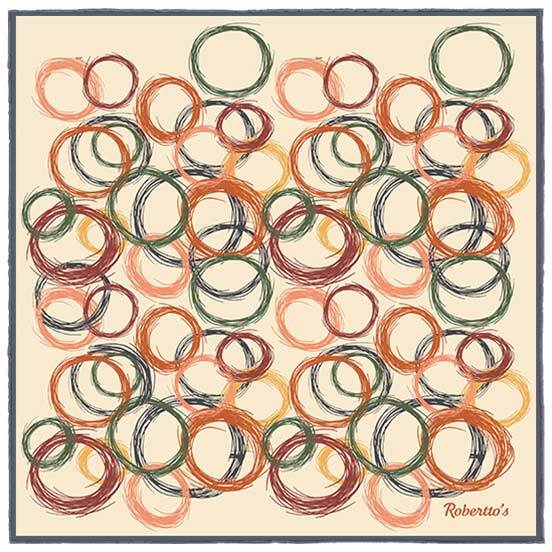 With a pattern which consists of wild, hand-drawn spiraling loops in mustard yellow, burgundy and navy blue, this silk pocket square is one for those who do not shy away from making bold statements, and know the impact a well-chosen accessory can achieve. 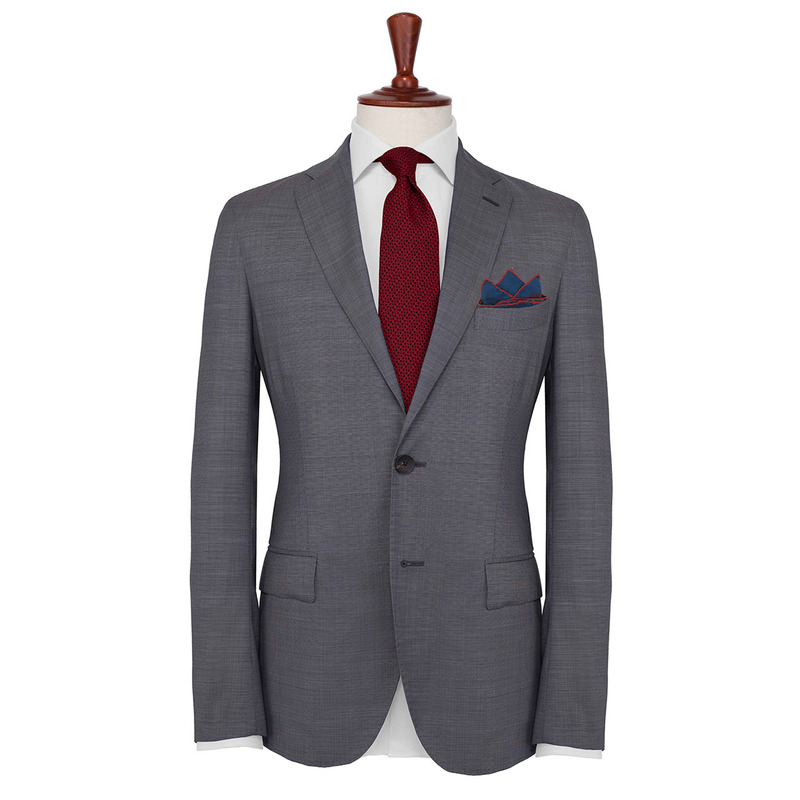 For maximum results, pair this pocket handkerchief with a classic, sophisticated outfit featuring a burgundy blazer, a white shirt and petroleum blue pants.